Boozhoo / Bozho / Pōsōh / Aho/ Shekóli/ Koonamansi! 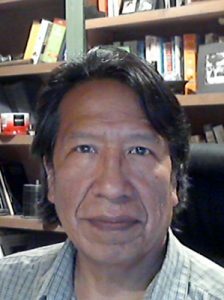 Scholars of indigenous studies at UWM are rewarded with a rich, interdisciplinary experience that is couched in both theory and practice. In addition to our English department faculty, students in the program are able to study with esteemed scholars in anthropology, urban planning, and the arts. 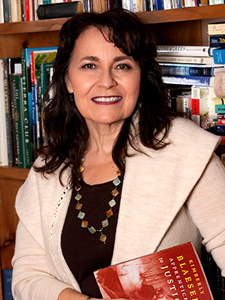 Students on our campus can study Anishinaabemowin (Ojibwe), Oneida, Ho-Chunk or Menominee in addition to taking a range of Native Literary courses that focus on comparative indigenous theory, creative writing, literary transnationalisim, postcolonial studies, and postindian survivance. The UWM experience is not limited to coursework however and students have an array of opportunities to contribute to the field through publications, conference participation, and creative work. Our faculty are heavily involved in the cultivation of indigenous studies at the convergence of language and culture. 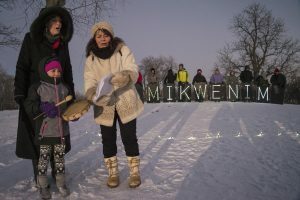 Few urban centers in the United States compare to Milwaukee with regards to indigenous studies and the UWM campus reflects the region’s strong and vibrant connection to its first peoples. 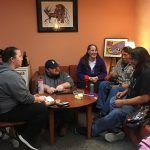 A large and thriving Native student population here on campus have formed numerous student groups including the Word Warriors, the American Indian Student Association, as well as the Native American and Indigenous Studies Association. In addition to these student-run organizations, those interested in indigenous studies are invited to explore further at the Electa Quinney Institute.